First Up-Welcome To Our New Home. 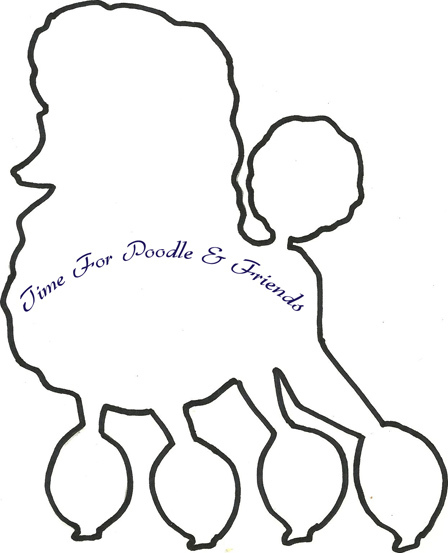 I decided it was time to break Poodle Time away from The Journal. Now I can concentrate more on what makes us and our our dogs safe and happy. And, of course, I will keep up the cultural side. I am sure I am not alone in believing that dogs are very important to our culture and makes us better persons. Each week I will print one new article and reissue one older one. 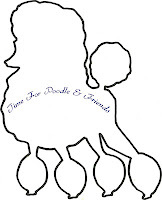 Today starts a two part feature about sewing things with Poodle motifs. 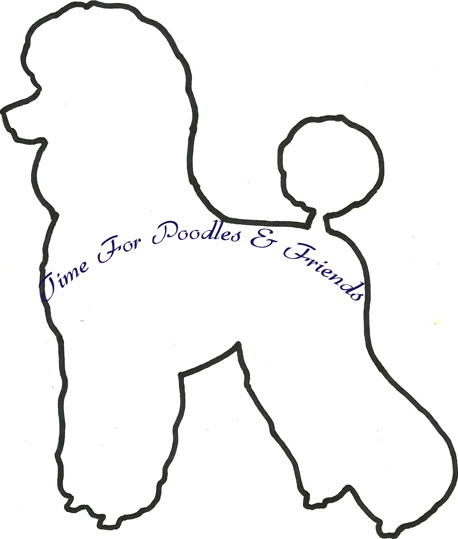 Next week I will talk about a few things I have made for my dogs along with some ideas I want to try. I have had Gina on my ETSY favorite list for a long time and was looking forward to making her. Unfortunately, I just noticed that the shop owner is on vacation. There was a "send me an email" option to be notified when the shop is back opened. I will keep you posted, if anyone else, like me fell for Gina. 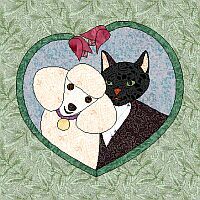 Sundrop Designs has created some cute 8" block patterns. This one caught my eye. 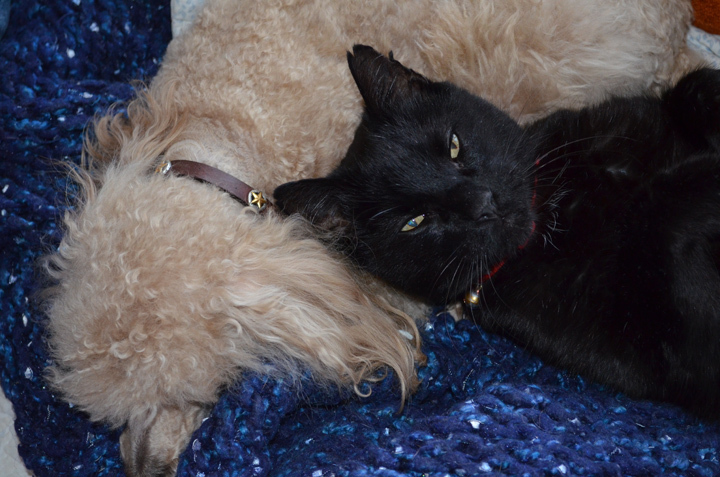 We have both dogs and cats and some interesting situations can happen. 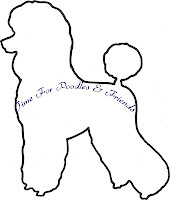 Check our her site a a big selection of all dog breed patterns. 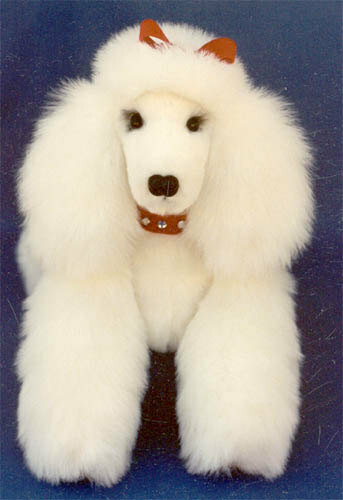 There are 12 Poodle Designs alone. 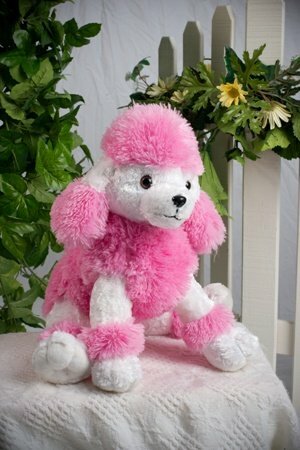 This little pink Poodle comes from The Bear Factory and is available on Amazon for $14.00. 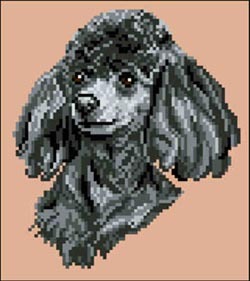 The Bear Factory's Poodle to stuff. She even comes with a birth certificate. Have your own dog show! 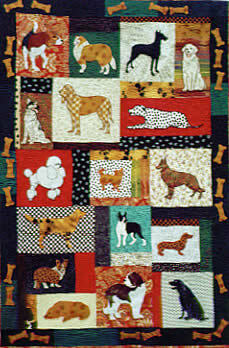 Critter Pattern Works offers a quilt pattern that includes twenty different breeds. Here are a couple of silhouettes for you to use. One has a Puppy cut and the other a Lion cut. The links will take you to larger copies. They should be easy to enlarge. I hope everyone likes our new home. We like being on our own. Have a great week.